“L’image volée” (The stolen image) is a group show curated by artist Thomas Demand, open to the public from 18 March to 21 August 2016. Within an exhibition architecture designed by sculptor Manfred Pernice, the show occupies both levels of the Nord gallery at Fondazione Prada in Milan. “L’image volée, ” includes more than 90 works produced by over 60 artists from 1820 through the present day. Demand’s idea for the exhibition is to explore the way we all rely on pre-existing models, and how artists have always referred to existing imagery to make their own. Questioning the boundaries between originality, conceptual inventiveness and the culture of the copy, the project focuses on theft, authorship, annexation and the creative potential of such pursuits. The exhibition presents three possible investigations: the physical appropriation of the object or its absence; theft as related to the image per se rather than the concrete object itself; and the act of stealing through the making of an image. The exhibition has been conceived as an eccentric, unconventional exploration of such topics through empirical inquiry. Rather than an encyclopedic analysis, it offers visitors an unorthodox insight into a voyage of artistic discovery and research. The first section of the exhibition displays photographs, paintings and films in which the stolen or missing object becomes the scene or evidence of a crime. Included in this section are works that directly echo criminal ideas, such as Maurizio Cattelan’s framed theft report for an immaterial artwork he claimed as robbed – Senza titolo (1991) -, or Stolen Rug (1969), a Persian carpet that Richard Artschwager commissioned to be stolen for the exhibition “Art by Telephone” in Chicago. Other works evoke the absence resulting from an act of theft, like the canvas by Adolph von Menzel, Friedrich der Grosse auf Reisen (1854), which had the portrayed faces incised from it. Other pieces are based on the alteration of preexisting artworks, for example, Richter-Modell (interconti) (1987), a painting by Gerhard Richter that was transformed into a coffee table by Martin Kippenberger and Pierre Bismuth’s Unfolded Origami (2016), who made new work out of original posters by Daniel Buren. All these works explore the notion of authors’ control over their own creations. The second part of the exhibition analyzes the logic behind appropriation within the creative process. This section begins with the concept of counterfeiting and falsification, exemplified by the hand-reproduced banknote by forger Günter Hopfinger. The exhibition moves on to explore practices that are close to Appropriation Art, such as Sturtevant’s Duchamp Man Ray Portrait (1966), who reclaims a photographic portrait of Marcel Duchamp realized by Man Ray, substituting both the author and the subject of the photograph with herself. Other artists drive the logic of counterfeiting to its limit, including taking possession of another artist’s identity. Other artworks are ‘improvements’ or modifications of preexisting images, for example the défigurations by Asger Jorn, or collages such as those by Wangechi Mutu, realized from medical illustrations and anatomical drawings. Artists such as Haris Epaminonda, Alice Lex-Nerlinger and John Stezaker, meanwhile, encompass postcards, photograms or archival images into their works. Along with these, Erin Shirreff and Rudolf Stingel create their paintings or videos using a photographic reproduction of an artwork from the past as their starting point. 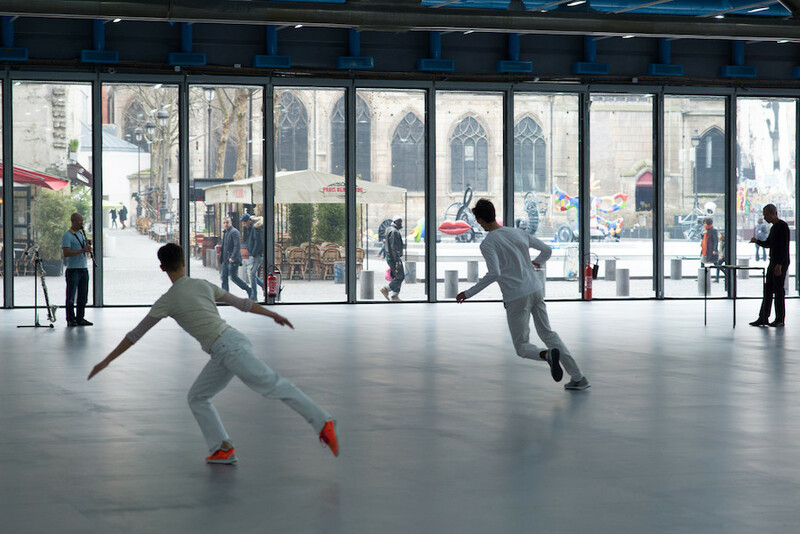 The Centre Pompidou is staging “Work/Travail/Arbeid”, a choreographical exhibition by Anne Teresa De Keersmaeker, adapted from Vortex Temporum, her dance piece to the music of the same title by composer Gérard Grisey. De Keersmaeker isn’t just bringing ballet to a new space, but recasting dance in the form of a nine-day exhibition in which she explores the relationship between music and dance, inviting us to “see” the movement when we only have the sound to go on, to grasp the music when only the dance is seen. Bernard Blistène – What does it mean for you, to make an exhibition of dance? How did the idea come to you? 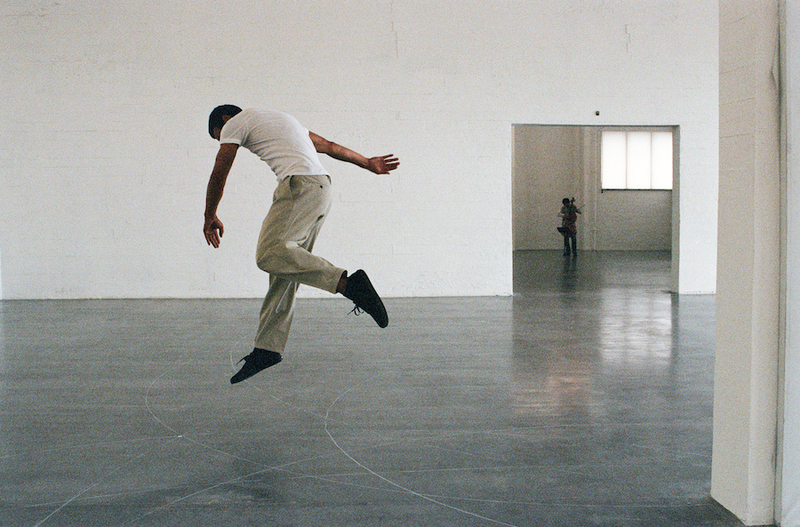 Anne Teresa De Keersmaeker – The suggestion was made to me when I was working on Vortex Temporum. The performance is designed in strata, on several levels, with a gradual accumulation of elements. That’s what inspired the stratified conception of time of the exhibition. I didn’t want to transfer theatre habits to a museum gallery. On the contrary, I was attracted to the opposite idea: taking ones time, extending the choreographic process over a much longer time. A performance pulls together all its layers. The exhibition isolates them, one by one and then suggests the infinity of possible combinations. BB – How did you construct the argument of the piece? ATDK – The starting point was the structure of Vortex Temporum, whose elements were then deconstructed, the voices separated. Rather than working with seven choral voices together, the little visual and musical units are considered independently, then by two, by threes, by fours and so on. Basically, it’s as if the composition of a performance were revealed stage by stage, not in didactic fashion but as they happen. The result is a nine-hour cycle whose length does not coincide with the opening time of the museum, ten hours a day. 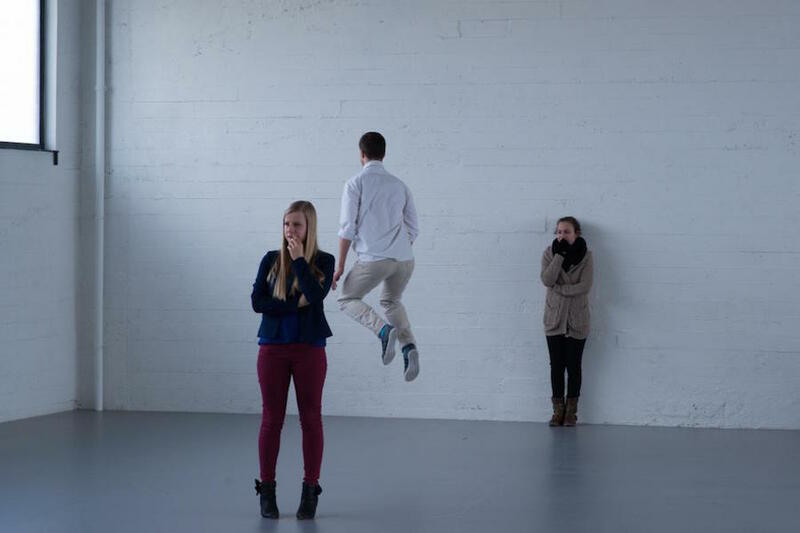 BB – How do you see the relationship between dance and the visual arts today? ATDK – I don’t believe that all art is political, but I do think that Genet was right when he said that the artist puts into question the way things are, which implies an anarchy of sorts. We find the world of today disorienting in its complexity and multiplicity. There’s no centre any longer; there’s nothing left but the consumption of things. Confronted with this, my anarchism involves cultivating a certain simplicity, an inertia, a slowness, so as to achieve intensity without the spectacular.  It’s a modest attempt to create a new framework on the basis of which it might be possible to look at things in a new way. Dance can bring something quite new to the idea of the exhibition: a shared experience of a new sense of the present moment. And that’s not a theatrical moment, in the black box; more fluid and less impatient, the space-time of the museum, of the white cube, exposes us to the uncontrollable. It can thus happen that a moment is lived as an unexpected experience of the collective.